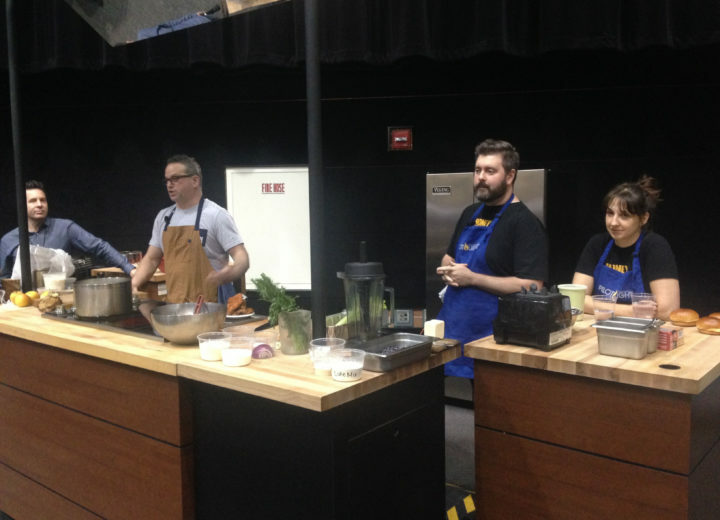 It’s the end of the year and we’re feeling nostalgic at FamilyFarmed… FamilyFarmed’s Good Food EXPO will celebrate its 15th anniversary next March 22-23 at Chicago’s UIC Forum. 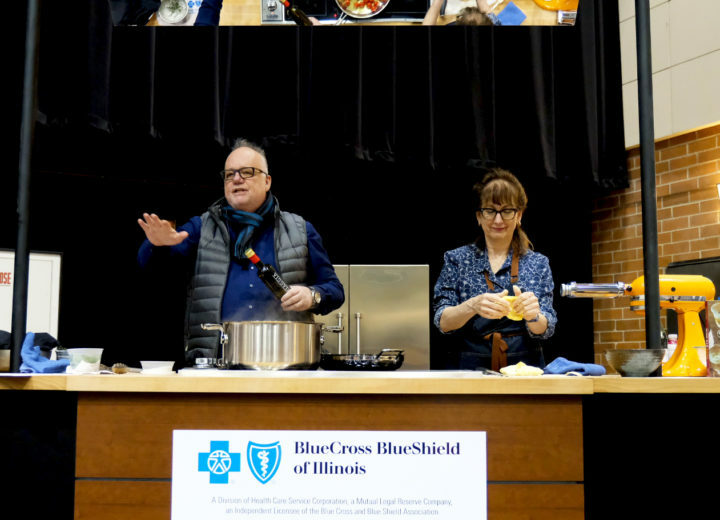 The EXPO, a major catalyst in the rise of the Chicago region’s Good Food movement, has been FamilyFarmed’s centerpiece since our nonprofit organization’s earliest days. Read on to discover how early-stage businesses have been boosted by participating in the EXPO. Giving Tuesday is tomorrow (November 27) and we welcome your contributions, which enable us to develop and deliver our impactful events and programming — delivered, for the most part, free of charge to participants. Don’t plan to give on #GivingTuesday? We welcome your tax-deductible contribution year-round! Find out how your Year-End Contribution can have a direct impact on the Good Food ecosystem. And if you are a food or farm entrepreneur, sign up to exhibit at the 2019 Good Food EXPO and save $100 with an Early Bird discount, in effect through December 31. Hundreds of the Midwest’s finest farm and food producers have participated in FamilyFarmed’s Good Food EXPO since its beginning in 2004. Many have benefited as their companies connected with the event’s audience of producers, buyers, sellers, investors and enthusiastic Good Food consumers. If asked the exact dates of an EXPO in which they participated, most of these exhibitors would have to resort to a calendar. There are a few, though, who likely have no problems recalling. That’s because they officially launched their businesses at the EXPO — the nation’s first trade and consumer event focused specifically on promoting local and sustainable food, and still the Midwest’s premier event in this thriving and fast-growing sector. 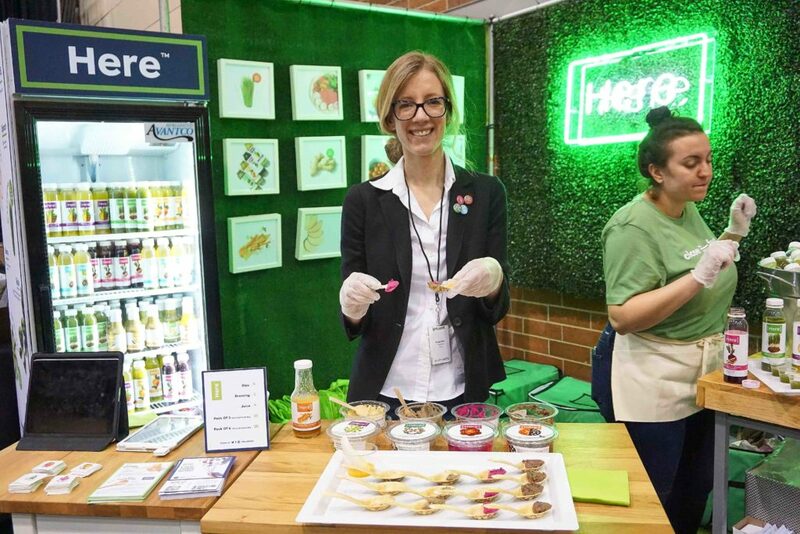 Here Foods — a producer of delicious cold-pressed juices, dips and dressings, made from mostly locally produced ingredients — was one of those companies, officially launching at the March 2017 Good Food EXPO. 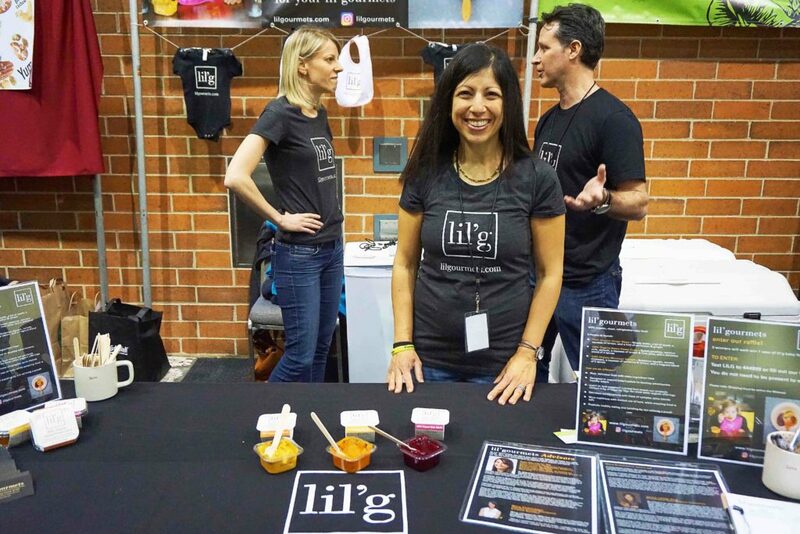 Megan Klein, the company’s president, was a Fellow in the third cohort of FamilyFarmed’s Good Food Accelerator program when Here held its debut at the EXPO. Here evolved from Farmed Here, a pioneering indoor farm in Bedford Park, a suburb of Chicago. When Klein came on board, the company was struggling to keep the farm alive in the face of high energy costs while developing a value-added line of consumer packaged goods as an adjunct. The company pivoted gracefully and rebranded as Here. Here made an immediate splash, with its recipes accented by the freshness of the local ingredients featured in its juices, dips and dressings. Here quickly earned shelf placement in hundreds of grocery stores in the Midwest, and within a year of its EXPO launch had completed a funding round that including a $4 million investment by the Listen venture capital fund. The company intends to expand nationwide, but its devotion to local sourcing remains constant. Here’s value proposition is that we bring fresh, local produce to packaged dressings, dips and juices. The EXPO draws a great crowd of people who are interested in supporting local companies and eating food that is fresh, clean and healthy. 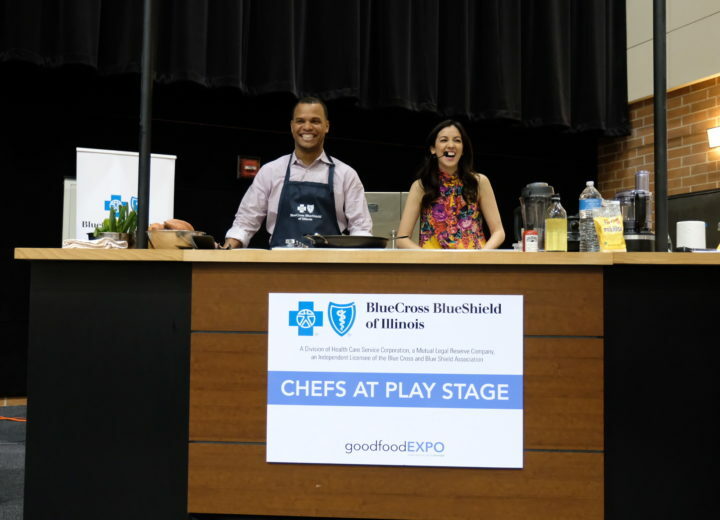 Any food startup launching healthy food products in the Chicago area would benefit from the opportunity to reach the EXPO audience, and Here was no exception — we got our name out to thousands of potential customers and were able to distribute coupons for our April 2017 launch in Mariano’s and Whole Foods Market, which boosted our initial sales. Even better? We were exhibiting alongside our farming partners, such as MightyVine and Urban Canopy, who grow some of the ingredients in our products. Your tax-deductible contributions to FamilyFarmed, a non-profit organization, help us help businesses such as Here to scale up and succeed. Please consider making a donation to our Annual Giving Campaign on Giving Tuesday or through the end of the year. Read more about ready to BRANDS and other graduates of our Good Food Accelerator who developed their “Good Food Is Good Medicine” products in response to personal health issues. Of course, there is a long list of successful food companies who did not launch at the EXPO, but participated when they were very early in their development and vouch how they prospered from the experience. And some have developed longstanding relationships with FamilyFarmed. When Luke Saunders launched Farmer’s Fridge in 2013, there was no guarantee that his innovative idea of selling restaurant-quality salads from high-tech vending machines would catch fire. But Saunders quickly took advice to exhibit at the Good Food EXPO, where the delicious and super-fresh salads draw attention. As Farmer’s Fridge grew quickly — and expanded its offerings to grain bowls, salads and breakfast items — it also developed a tech-driven logistical system that enables the company to determine which menu items are in high demand in each of its Fridges, ensures that each machine is stocked with fresh items, and allows customers to use an app to determine in real time if the item they want is available in the nearest Fridge. That innovative approach earned Farmer’s Fridge a Chicago Innovation Award (for which FamilyFarmed nominated the company) at an October 29 ceremony. Saunders also recently joined the FamilyFarmed Board of Directors. Phoenix Bean Tofu also became part of the FamilyFarmed family when it started exhibiting at the EXPO about a decade ago. Phoenix Bean, which produces especially flavorful tofu products from sustainably produced Illinois soybeans, was then selling to general consumers almost exclusively at farmers markets while servicing Chicago’s Asian restaurants and groceries. But the growing popularity of its fresh and prepared tofu products inspired owner Jenny Yang to think about growing the company. She applied for and was accepted in 2014 to the first Good Food Accelerator cohort. From there, she connected with Whole Foods Market, which now features her products under the Jenny’s Tofu label in all of its Midwest region stores. FamilyFarmed also facilitated the connections that enabled Yang to obtain a loan she is using to greatly expand her production facilities. Then there is TeaSquares, which merges a great product idea — tasty energy snacks that give a caffeine boost from tea — with a great social mission. Located in the distressed South Side community of Englewood, TeaSquares provides internships and entrepreneurial training to youths from underserved Chicago communities. 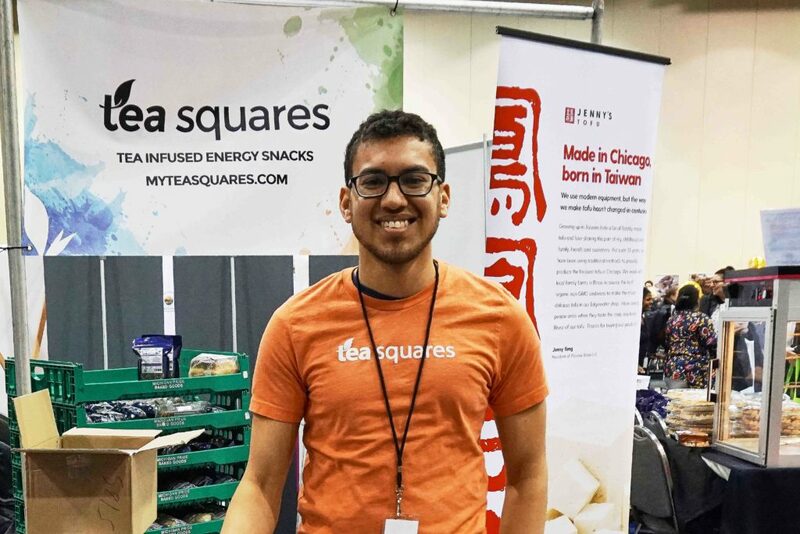 Under the leadership of co-founders Jordan Buckner and Isaac Lozano, TeaSquares has continued to draw investment and attention since its participation in the Accelerator’s third cohort and first-time participation in the 2017 Good Food EXPO. Its accomplishments include its recent acceptance into the prestigious Chobani Incubator program. FamilyFarmed is confident that these EXPO success stories will continue to add up. Make sure to come to our 15th anniversary EXPO next March 22-23 and see which new great companies are ready to launch. Find out how your Year-End Contribution can have a direct impact on the Good Food ecosystem, and benefit great Good Food companies such as the ones mentioned above. Support from #GoodFoodies like you helps realize our vision of Good Food on Every Table — we can’t do it without you!